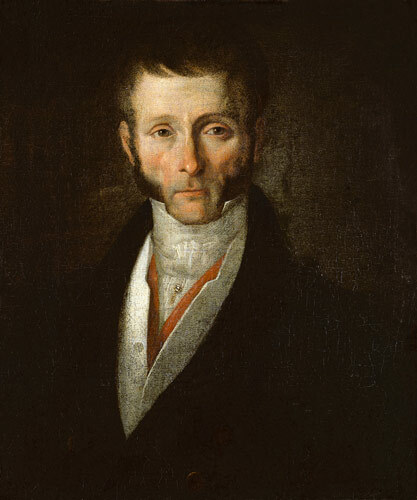 Joseph Fouché was the ultimate survivor (rivalled only by Talleyrand), emerging unscathed when each regime he allied himself to was destroyed. Remaining in positions of influence when his loyalties were constantly doubted. As the ever insightful Madame de Rémusat observed, he was an adept at making himself a necessity. Contradiction, duplicity, deceit, brutality, ruthlessness, self-serving aggrandisement; these were his watchwords. If he had a moral compass the needle would have spun like a bicycle wheel. A ready-made villain for any story set in the turbulent times of the Revolutionary and Napoleonic periods. I was keen to use him as such in my own novel, Bitter Glory. But how well do the facts stack up against the appalling reputation he acquired through his career. Fouché was born in Nantes in 1759, given a good education by the Oratorians who had taken over religious education in France since the ousting of the Jesuits, and destined for a career as a teacher within that order. All that changed with powder keg of revolution exploding across France. Politicized, Fouché joined the Jacobins and became a friend of Maximilien Robespierre. When royalist supporters rose in La Vendée he was sent there with almost dictatorial powers to crush the revolt which he did with such brutal efficiency that he was immediately promoted to the post of Commissioner of the Republic in the département of the Nièvre. There the former Oratorian launched the policy of dechristianisation, ransacking churches and sending their valuables to the Treasury. When revolt broke out in Lyon Fouché was sent there with almost two thousand of the Parisian Revolutionary Army to restore order. In reality he initiated a massacre – various sources describe scenes of groups of men blasted with grapeshot, firing squads and an overworked guillotine. Estimates put the number of citizens executed at over 1800 from late 1793 to April 1794 when he returned to Paris. As he put it: The blood of criminals fertilises the soil of liberty and establishes power on sure foundations. Back in Paris, conflict with his former friend Robespierre led to the Jacobin leader trying to oust Fouché from the Jacobin Club, at the time tantamount to a death sentence, but with the support of Barras, Fouché turned the tables. It was Robespierre’s head that fell to Madame Guillotine. With his fall, moderates came to dominate the ensuing regime, the Directory, and Fouché was cast out of favour but three years later he was back, working for his benefactor Barras as ambassador in Milan and then as minister of police. But already Fouché could detect the wind of change and the new rising star; a young general from Corsica. With barely the skip of a heartbeat he transferred his allegiance from Barras to Bonaparte and was instrumental in facilitating the coup d’état of 18 Brumaire. Thereafter, through the course of the Consulate and the subsequent Empire, Fouche was in and out of favour with Bonaparte who recognised he needed the resources of his sinister minister of police but was ever wary that he had garnered too much power than was healthy for a subordinate. Every few years he would be bounced out of office for overstepping the mark but would never be entirely disgraced by Bonaparte who still maintained an eye for the future and Fouché’s potential usefulness. In 1802 he was removed from office when Bonaparte suspected he was unduly protecting his former Jacobin friends but he was brought back in 1804 after his spy network had been rather more useful than his successor’s in thwarting the Cadoudal plot. After making independent overtures to the British for peace he was sacked by a furious Napoleon in 1810 but gradually worked his way back into favour, if not trust, over the next three years. But in 1814, when he saw the writing on the wall for the Empire, and the Allies closing in on all fronts, he opened negotiations with the royalists. However, not getting any satisfaction from them in the short term he sided once again with Napoleon when he broke out of Elba for the Hundred Days. Even then, he made contact with the Austrian Metternich, evidently ensuring he could play either side depending on the outcome. This strategy worked because, following Waterloo, he found his services in demand still. Talleyrand, that other notorious survivor, became the prime minister of the newly restored Kingdom of France, and he named Fouché as his minister of police. So the regicide, the man who had urged the execution of Louis XVI so vigorously, became a minister for his brother, Louis XVIII. He now initiated a campaign of terror against real and imagined enemies of the crown but by 1816 his royalist masters tired of him and dismissed him for the last time. He was proscribed and exiled. Fouché, the father and mother of secret police forces the world over, died in Trieste four years later.